Brilliant! Best wishes to you both, and thank you for one of the most exciting mags out in the ether. Thanks, Vanessa. 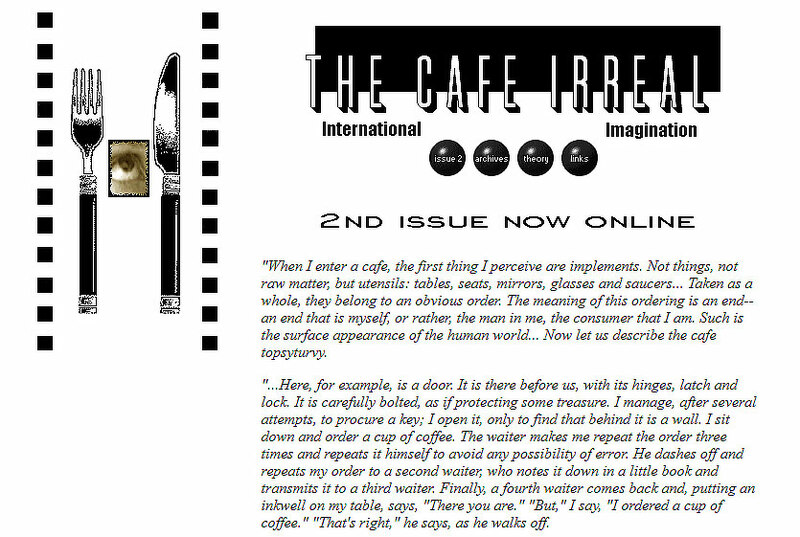 And you’ve been a part of The Cafe Irreal since Issue 21!